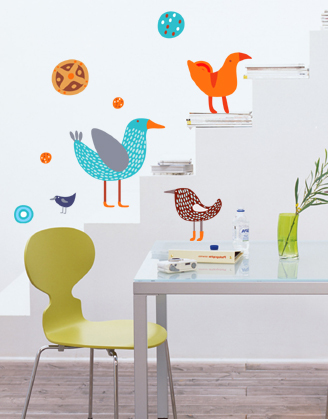 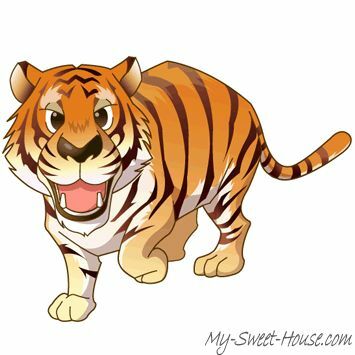 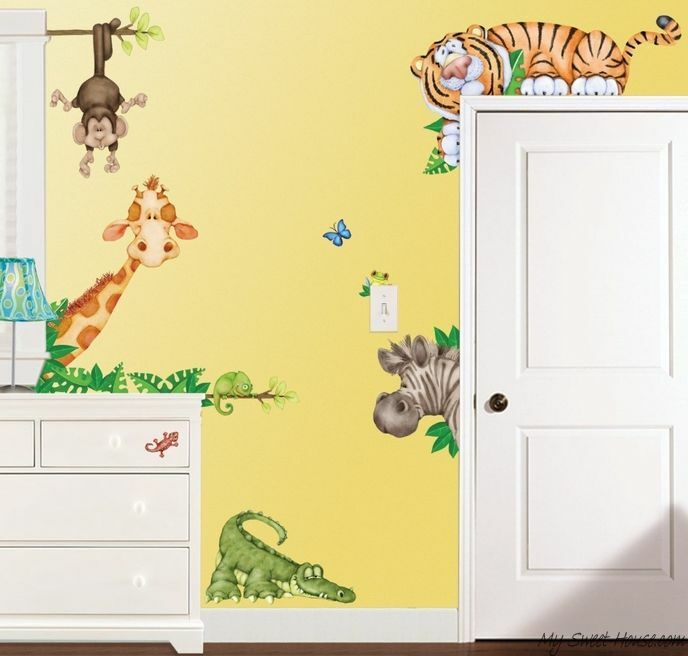 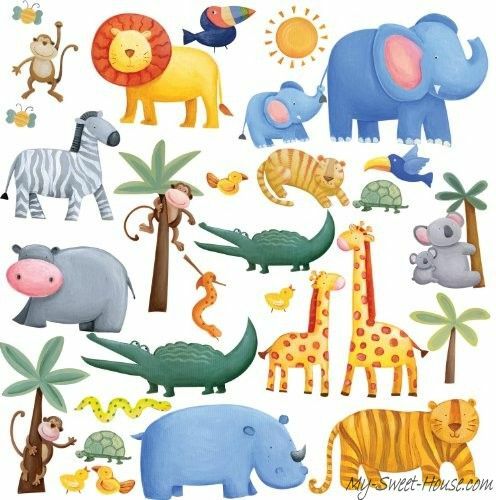 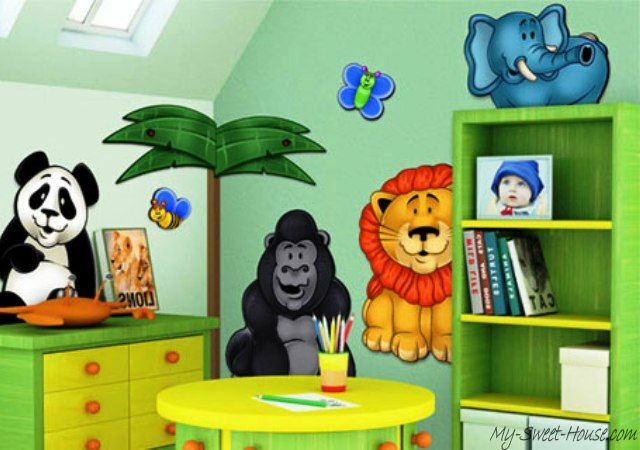 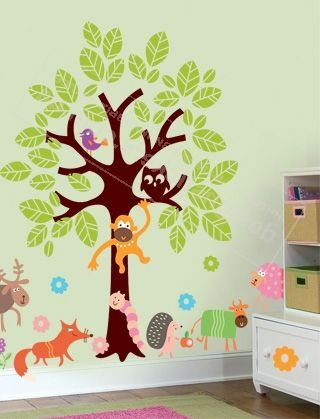 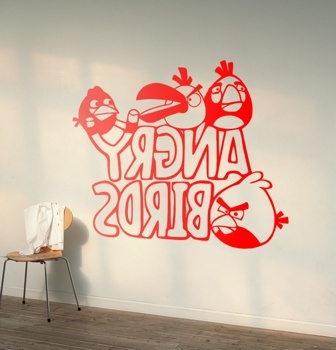 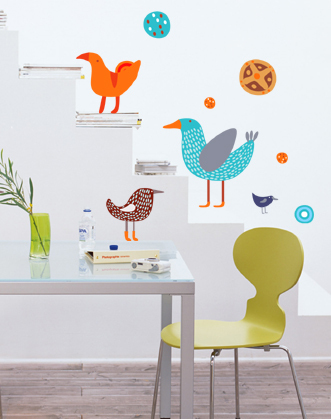 Today, more and more popularity is gained by variety of colorful children’s vinyl stickers that are placed on the walls and furniture in the nursery. 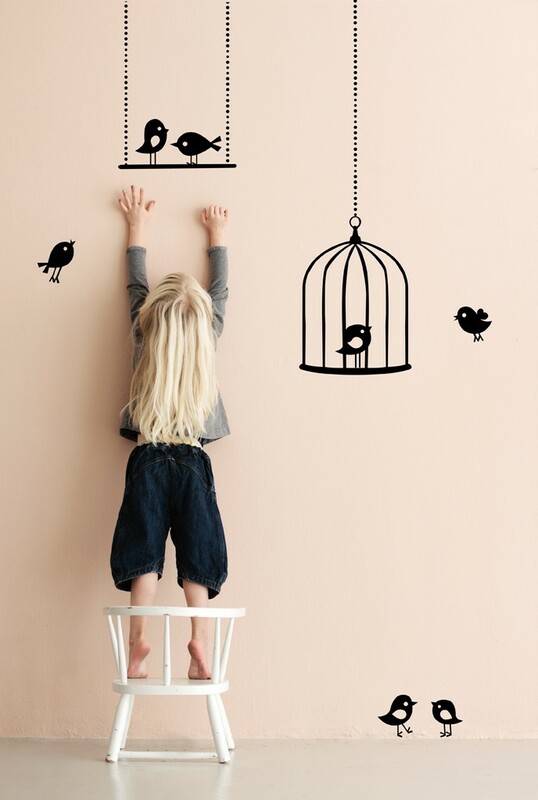 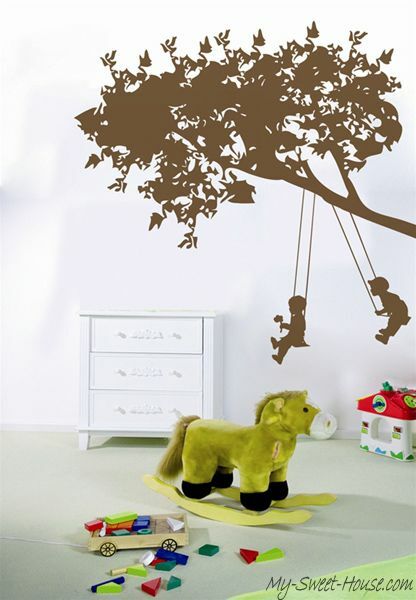 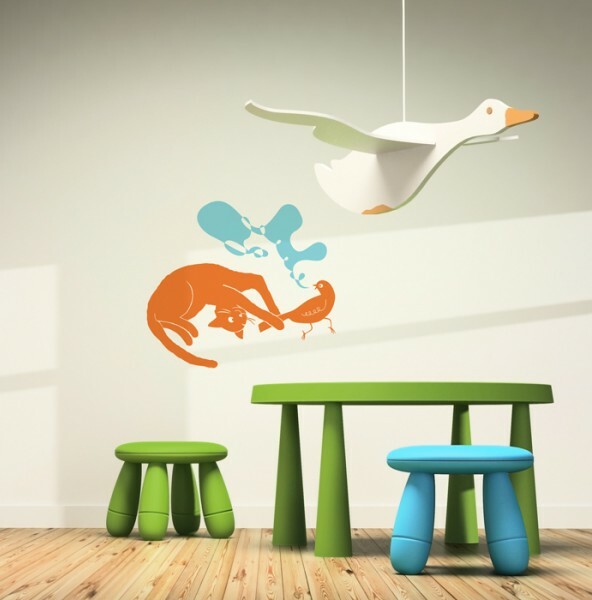 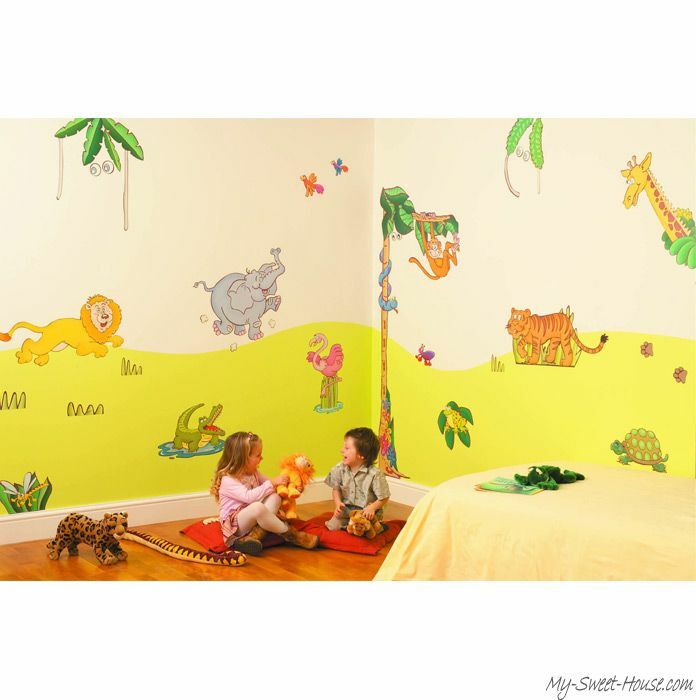 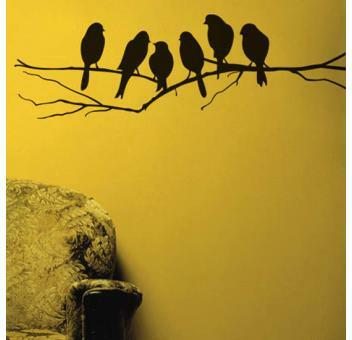 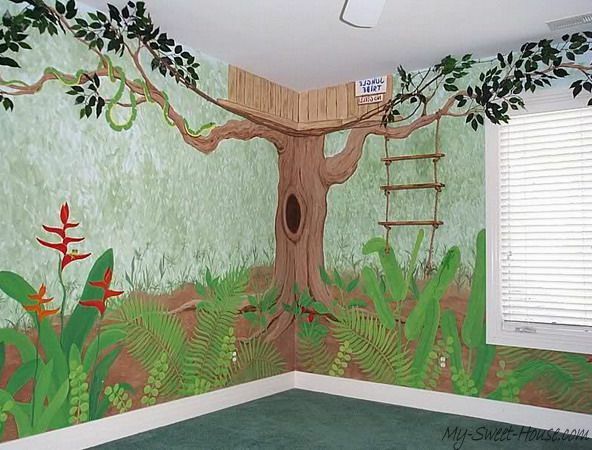 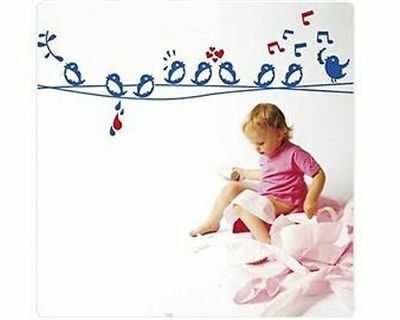 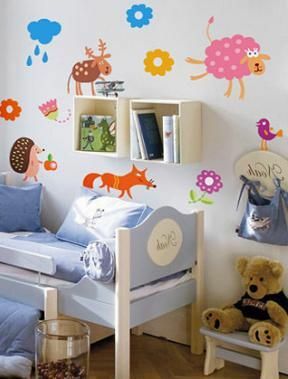 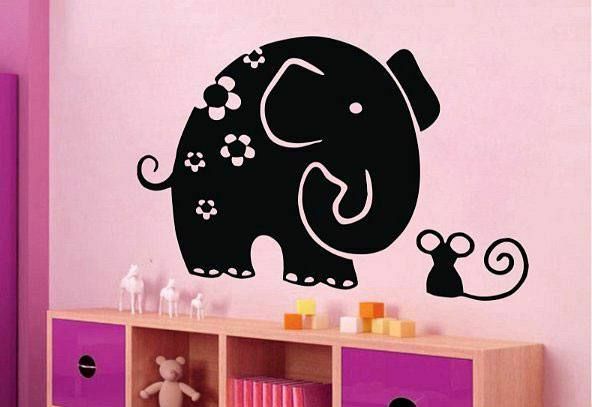 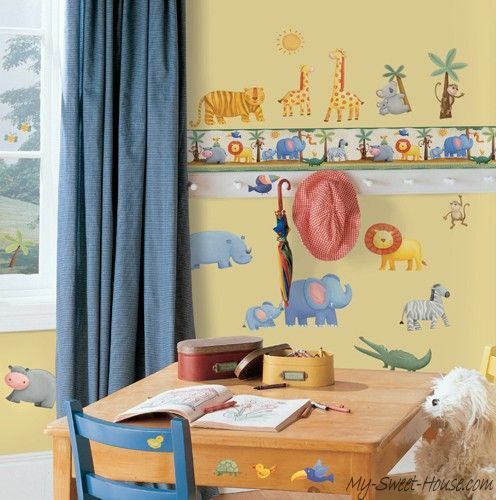 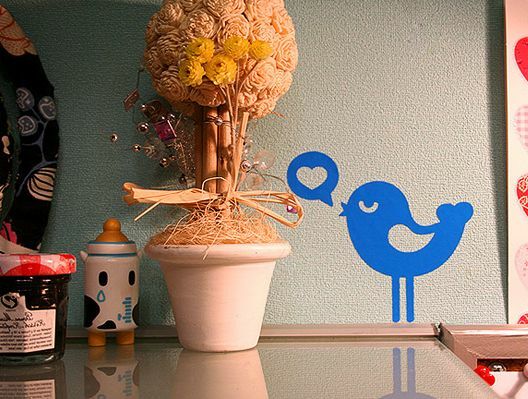 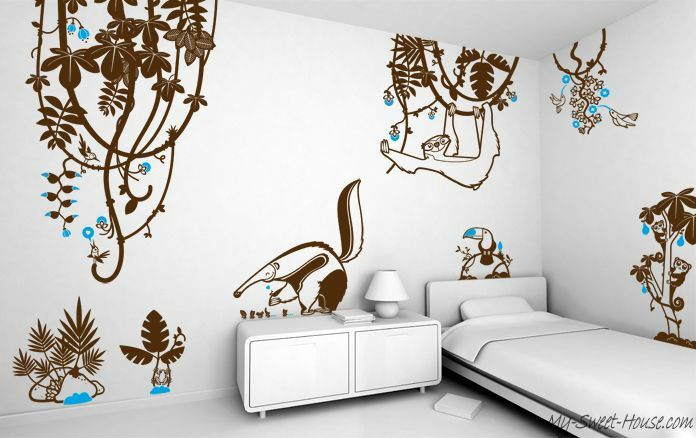 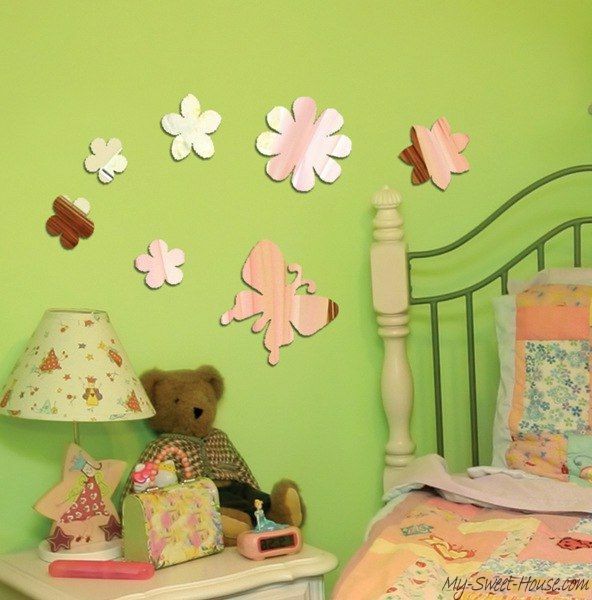 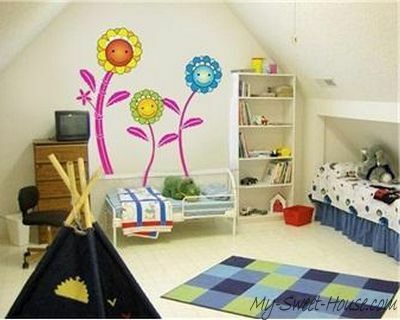 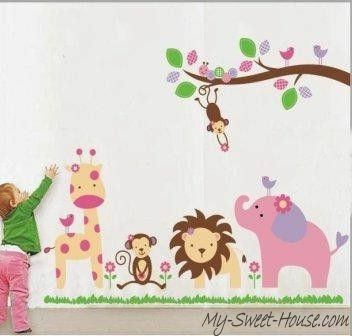 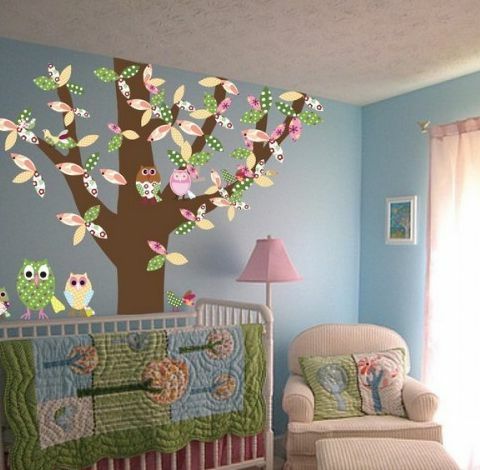 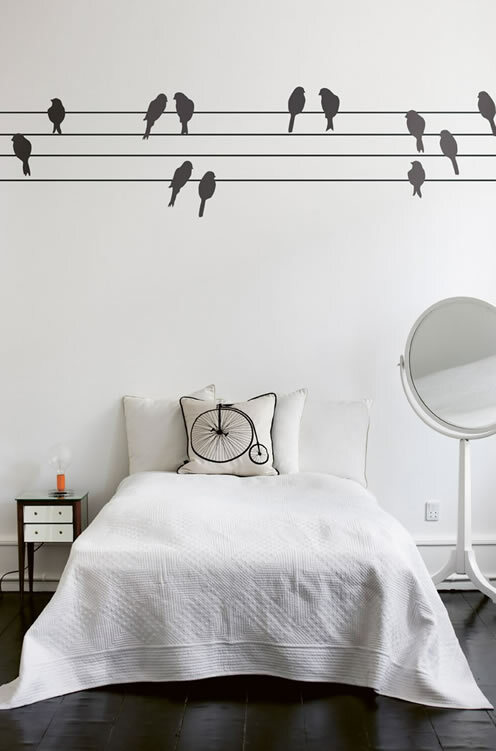 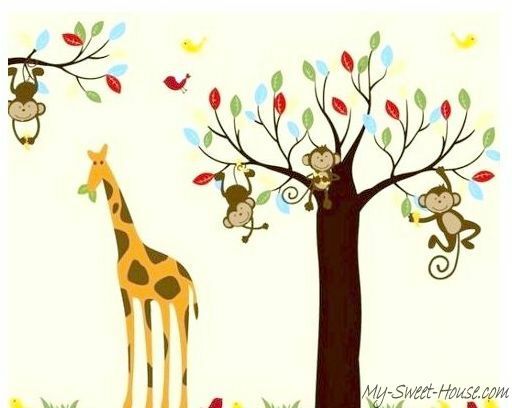 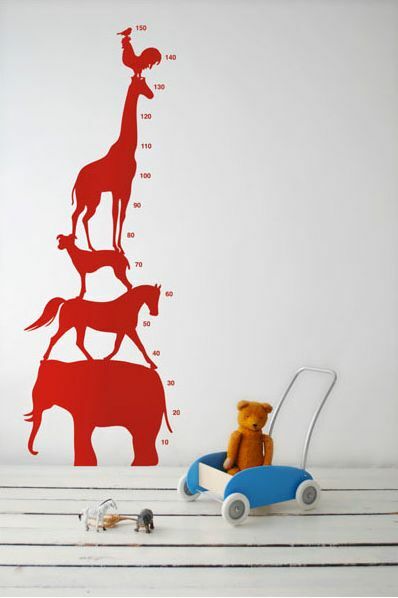 Decorative Wall Stickers is fairly simple way of decorating the nursery. 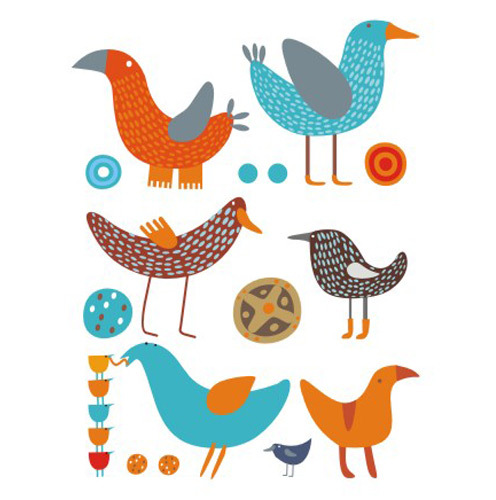 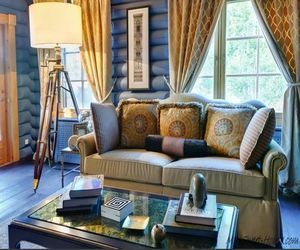 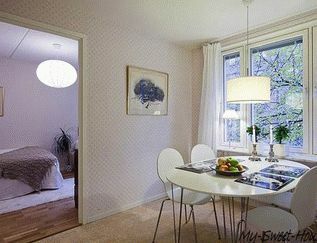 These funny pictures can be glued directly to the wallpaper or furniture, on the ceiling or on the mirror. 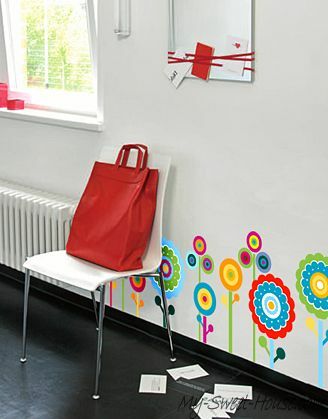 After removing the annoying stickers or move it to another place no traces remain, so don’t be worry about it. 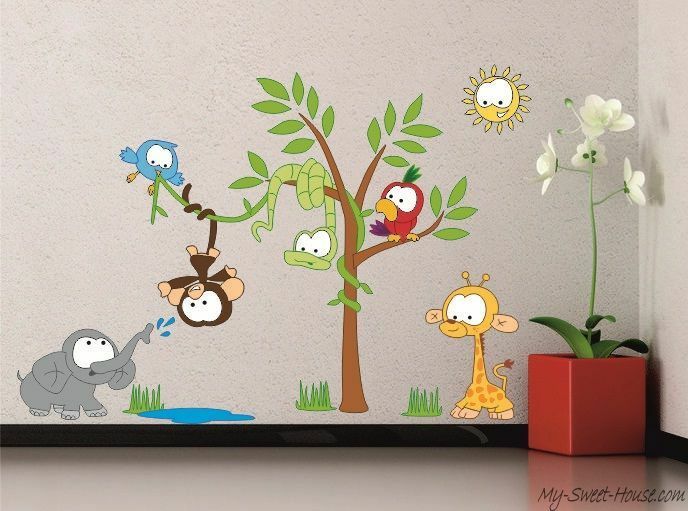 These stickers are designed to create a special atmosphere in the nursery that will make your kid’s pastime more comfortable over there. 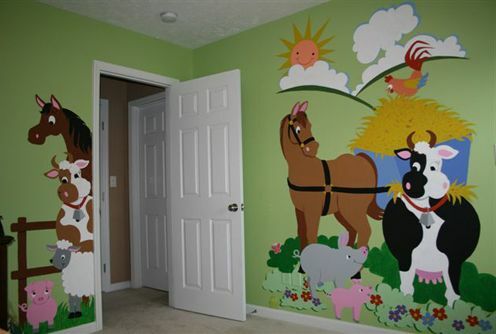 First of all, talk to your child asking would he or she like to see the pictures in the room. 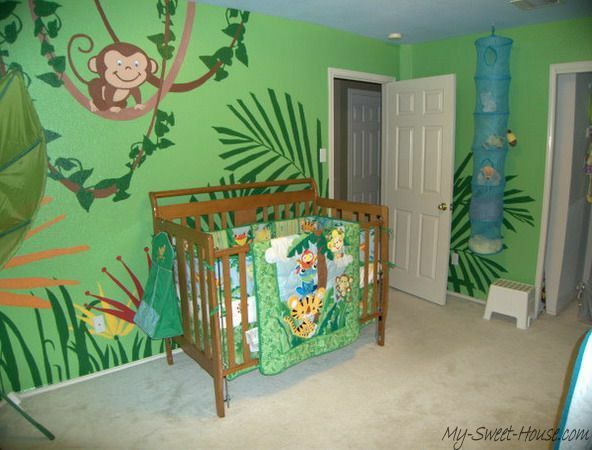 What he will prefer more: Mutant Ninja Turtles or Donald Duck? 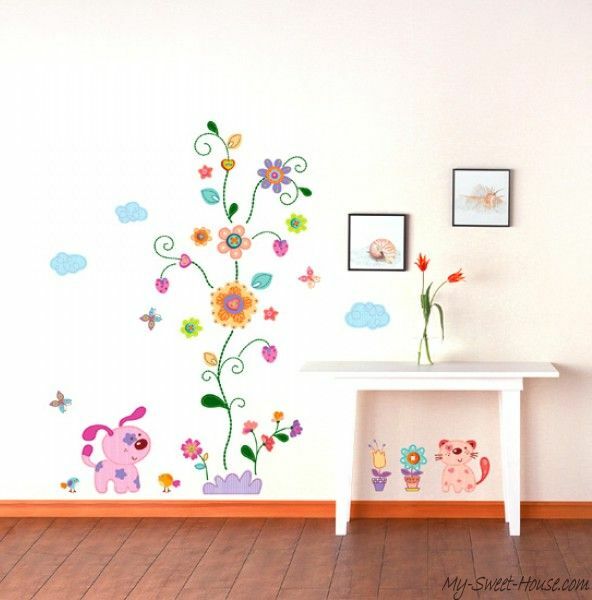 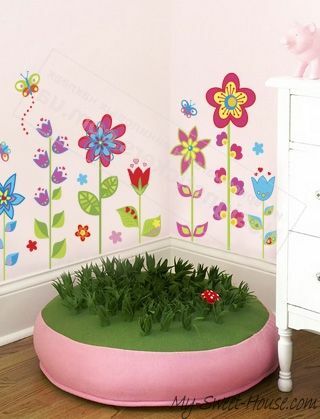 A baby girl might want to turn her room space into a fabulous palace, a little princess room full of flowers, butterflies, unicorns and pink kitties. 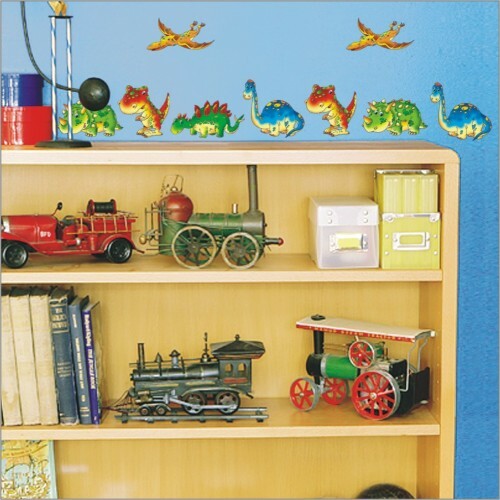 A boy would choose stickers with Spiderman and Batman, ships and aircrafts.